Depending on where you go in the world and the individuals you ask, footwear can be either a necessity or an obsession. Unless you live on a pristine tropical island with soft sand and permanently warm temperatures, you will probably wear shoes nearly every day throughout your lifetime. For some foot fashionistas, however, shoes are the best part of an outfit… the finishing touch that makes it just right. The quest for the perfect shoes can take a woman – and her wallet – on some interesting adventures. 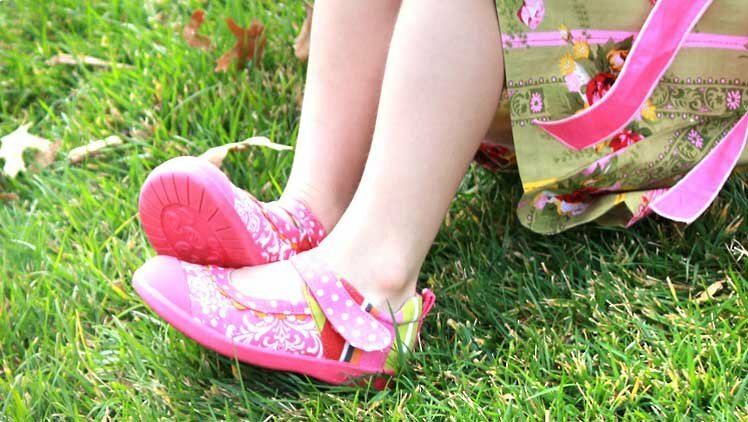 Many moms also want their little girls and boys to rock cute, stylish footwear that complements their outfits. 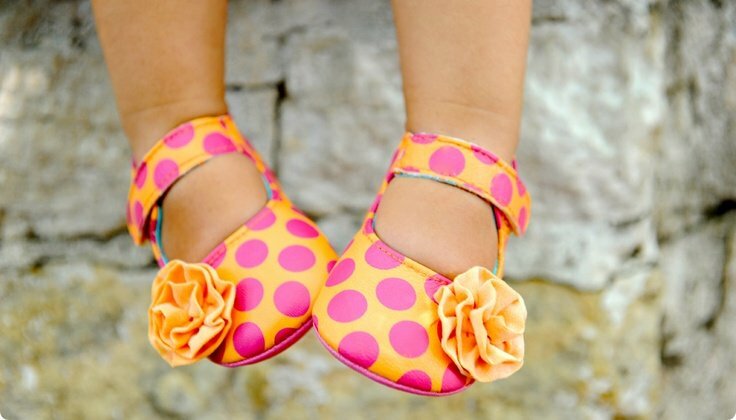 However, there are always concerns that those cute shoes aren’t crafted to accommodate growing feet. Some can be too flimsy, flat, or rigid, which can be bad for foot development. 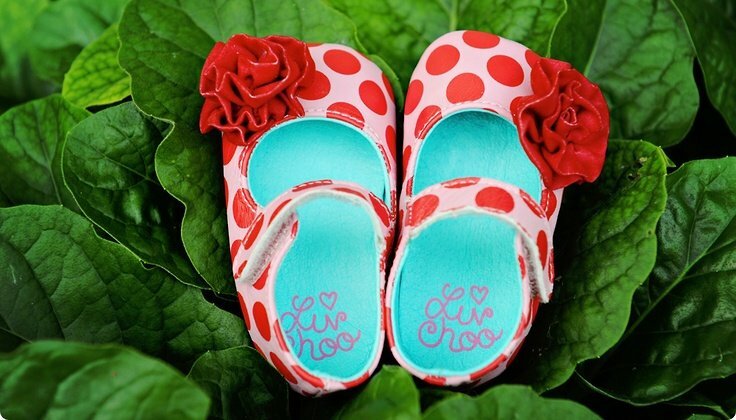 Now, companies like pediped, Luv Croo, Momo Baby, Madie Jane and Andanines offer shoes that combine healthy foot support with beautiful designs. In 2005, Angela Edgeworth was a new mom, and like many new parents, her mind was on making all the right choices for her baby, including choices about footwear. She wanted a shoe that would be comfortable for her little girl, whether she was spending time at home or setting out on her first outdoor adventures. During her research, Angela found that most pediatricians and podiatrists recommend soft, pliable shoes for babies because they allow the child’s foot to move and grow freely. Armed with that knowledge and not finding anything quite to her liking, Angela was inspired to create her own line of shoes for babies and children. 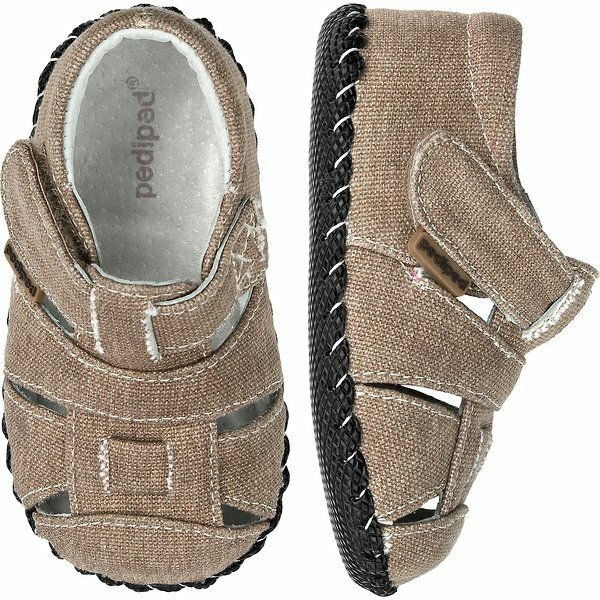 pediped is now an award-winning brand, one of the most trusted names in kids’ footwear. pediped’s success is no fluke; it can be directly attributed to their high-quality, attractive shoes in a wide range of looks and sizes. 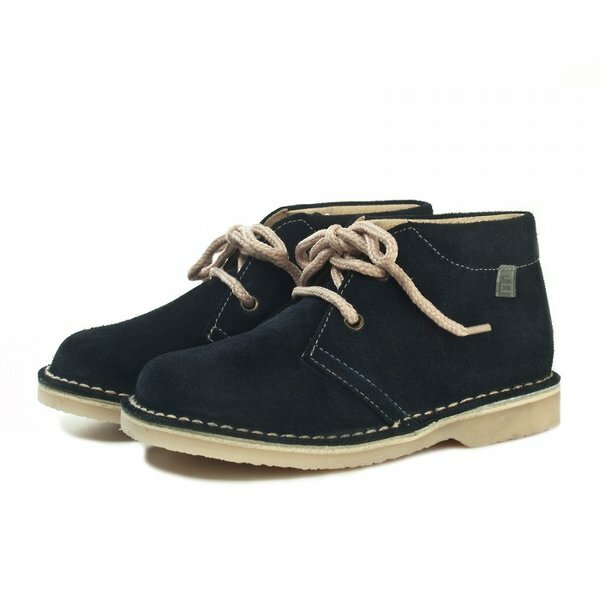 Their shoes are made to suit a child’s developmental stages and activity levels. There are soft soles, soft rubber soles, and more sturdy rubber soles available. Parents can choose from an impressive selection of boys and girls styles for play, school, beach, or snow. 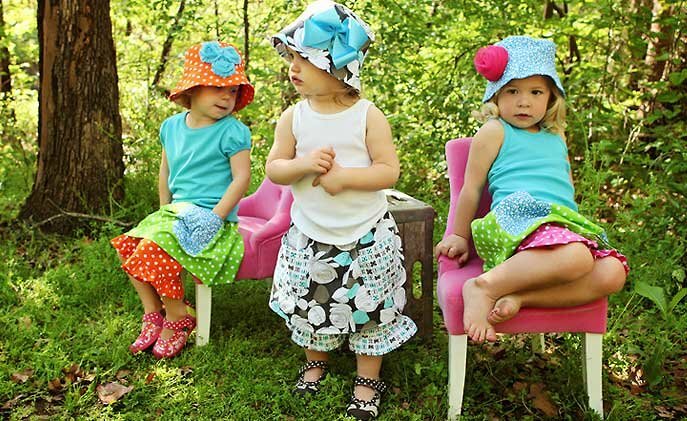 So many success stories in the children’s apparel industry begin the same way: a parent looking for the perfect item for their child is disappointed by the choices, and decides to create the product they’re looking for. It’s a case of if you want something done right, you have to do it yourself. This ambition often pays off, as it did in the case of Luvy Amaya, the founder of Luv Croo shoes. Amaya is a shoe enthusiast who wanted her two daughters, Sophia and Rose, to have a collection of cute, stylish shoes to match their outfits and their moods. Her adventures in shoe shopping didn’t yield quite the results she was seeking. In her mind’s eye she saw shoes that were both fashion-forward and comfortable for little feet, so she decided to make her dream a reality. The result is a line of shoes with an appealing mix of classic and contemporary looks. Shiny patent in traditional Mary Jane style is updated with cheetah print and an eye-popping pink bow. Other items in the collections include polka dots and flowers. All their shoes are soft, pliable and comfortable for growing feet. Leather is a classic when it comes to footwear. Native cultures used leather to make intricate moccasins that not only looked beautiful, but were meant to last through miles of walking and harsh weather. Europeans also made use of leather for shoe-making and soon it was a mark of quality and craftsmanship across the world. Leather has long been parents’ first choice for their child’s shoes. While some synthetic materials have become popular in recent years, there’s no denying that leather’s durability, softness and flexibility make it perfect for active, growing kids. Momo Baby is a footwear designer that offers a lovely collection of leather shoes for babies and children. Momo Baby’s soft-sole baby shoes are their most popular product. The shoes’ eye-catching, colorful embroidered leather styles are available in a huge variety of themes, including animals, space, cars, flowers, fruit, and more. It’s easy to see the quality that goes into the shoes’ design and production. Best of all, they are foot-friendly and approved by the American Podiatric Association. In addition to baby shoes, the company also offers ballet flats, rubber sole shoes and sneakers, sandals, leather/shearling boots, and rain boots. Some parents of little girls lament that it’s hard to find shoes that are both pretty and sturdy. 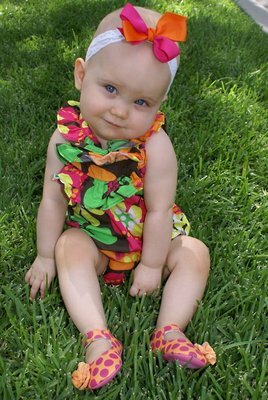 It’s fairly easy to find shoes with bright prints, glitter and bows, but too often they are flimsy and can barely stand up to normal outdoor walking, let alone serious play. 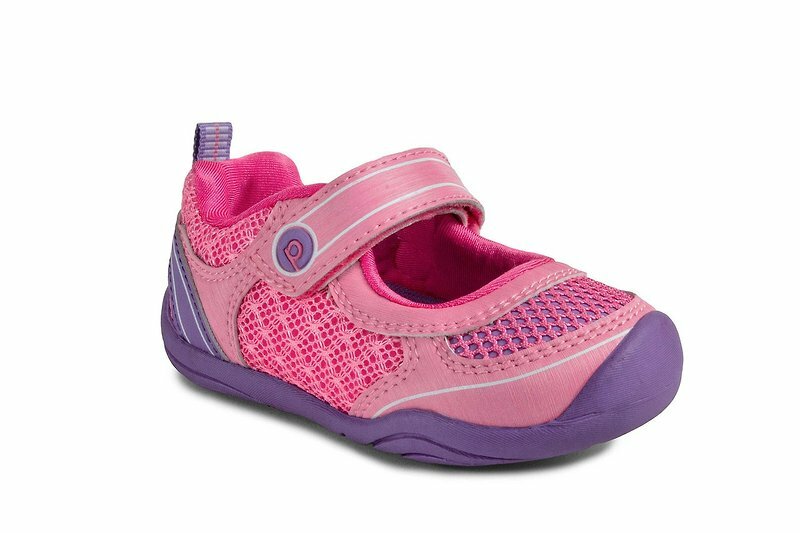 Many little girls love to run, climb and play just as much as boys do, so they need shoes that have good strong structure and thick soles. In the past, Mary Janes were the most popular style of shoes for little girls. They were appropriate for school and parties yet they were substantial enough to support the foot through daily wear and tear. Madie Jane is a Dallas-based company that makes an updated version of these timeless shoes. Their motto is “We’re not your plain Mary Jane!”. The company’s founder, Deanne Bailey, named the company after her young daughter Madie, as a play on the Mary Jane name. The shoes feature bright fabric uppers and thick rubber soles. They offer the slip-resistant safety and support of a sneaker but with a little more versatility and flair. They’re the perfect accessories to wear with jeans, funky dresses, or skirts. Southern Europe has a proud, centuries long shoe making tradition. These artisans were thought to have a touch of magic on their side. With a few pieces of leather and some nails, they could construct stylish and strong footwear that would protect their wearers from cold and rough terrain for months to come. Andanines is a company located in Villena, a region of Spain known for its history of manufacturing children’s shoes. The 35-year-old brand is a family business that has kept up with the latest trends to continue offering the very best in quality and style to customers across Europe as well as other parts of the world. 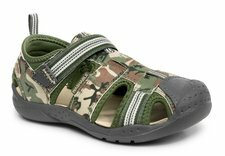 They offer a range of leather dress shoes, boots, walking shoes and sneakers for girls and boys. They also have the option of customizing certain shoe styles with the child’s name or initials. Some of the shoes have a slightly old-fashioned, shabby-chic look while others have a distinctly modern flair.